Geode wedding cakes are made with the use of colourful sugar rocks to create intricate crystal formations inside. These wedding cakes are trendy and amazing! We love the geode theme (see previous blog post "Wedding Trend: Agates and Geode Accents"), a growing trend in the wedding industry. 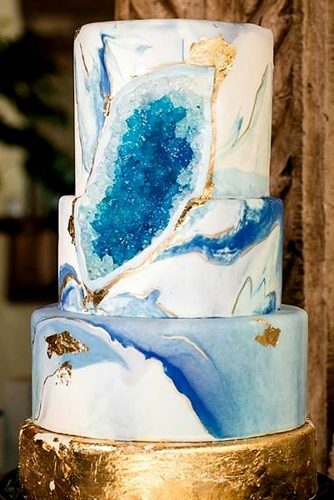 But for those couples who are intrigued in the geode theme but not attached to it, perhaps a geode cake would be a perfect compromise. Here are a few cake ideas for inspiration!